Sturridge set to remain at Liverpool but will he be happy playing bit role? Daniel Sturridge’s star at Liverpool has dimmed recently. He has been placed down the pecking order under Jurgen Klopp’s reign as manager. Injuries have hampered his progress and in light of this, the 27-year-old striker was said to be wanting to leave the Reds and find solace with a new squad. But recent developments indicated he would stay at the Merseyside squad. Klopp himself announced this after saying Sturridge departure could cost the Reds much money. Sturridge started just seven Premier League games for the Reds last season and scored only three times in the process. The decline in form by the England international stirred various talks of him moving out of Anfield. Sturridge, who scored 21 times in 29 outings in the top flight as recently as 2013-14 season, had many teams wooing to play for them but any hopes he had of reviving his career elsewhere now appear to have been gone to naught. West Ham United and Paris Saint-Germain are the clubs trying to snare him but Klopp stood firm on his decision at the end of last season. 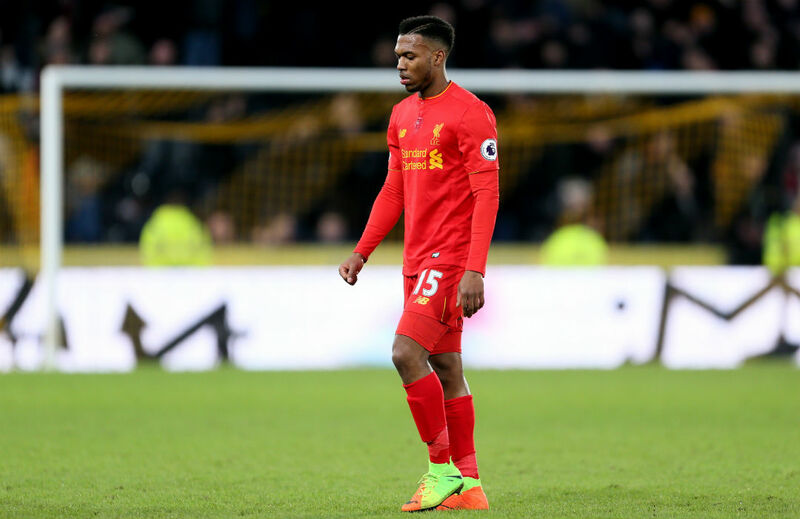 Sturridge, it looks like is going nowhere, and could only be “freed’’ is there is a massive offer that could satisfy Liverpool. Klopp has held talks with senior members of his scouting and coaching staff and it has been speculated the overblown transfer market is proving a hindrance for Sturridge to ply his trade elsewhere. As he explained, Klopp added any money received for Sturridge would be rendered small by the amount it would cost to bring in another striker of the same quality. Despite his lacklustre form, Sturridge showed flashes of brilliance last season. Although his playing time was reduced, he made an impact for the Reds on some matches. He showed he can be depended upon on Liverpool’s attacks with his tremendous pace that enables him to fire from anywhere around the area with his left foot. It seems, however, Klopp does not find in him some qualities he wants a player to display in the pitch and the German manager sees those in Roberto Firmino, Liverpool’s starting forward. His current predicament put Sturridge in limbo. With Klopp showing his “dislike’’ but not wanting him to leave the squad, Sturridge’s situation may be compared to a sheep lost in the woods, pondering what to do and what direction to go. If his stay at Liverpool remains firm, we would see Klopp continuing to use the embattled player as an impact substitute. Question is, will Sturridge be happy essaying that cameo role?